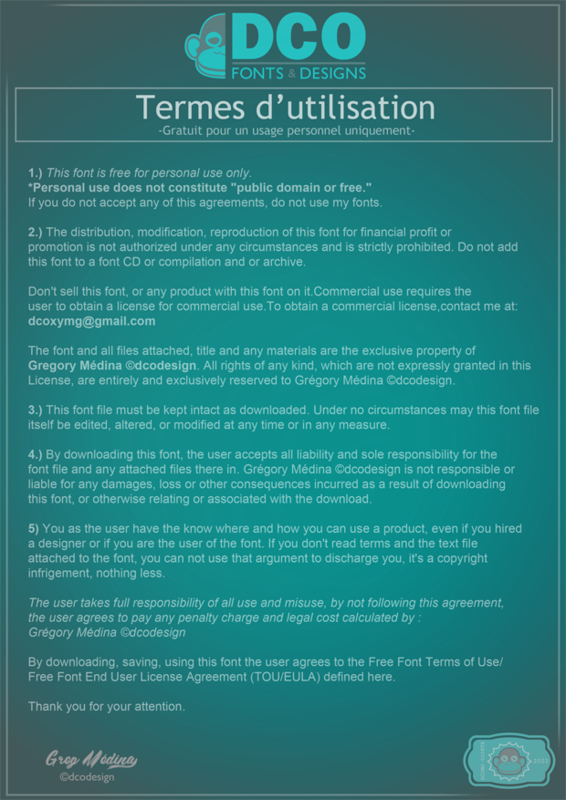 1- Pick the name of the font in the list and the amount associated. * For US$ payments, remember to check the exchange rate (euro/dollars) before your transaction. * Indicate the name of the font, your name/company name and location in your transaction note. 3- I will e-mail the files with a license (invoice details included), after the transaction.